Featuring free WiFi throughout the property, Driftwood Villa is located in Karavados, 650 feet from the picturesque beach of Saint Thomas and 0.6 mi from the village of Karavados. Guests benefit from terrace and an outdoor pool. Free private parking is available on site. The kitchen is equipped with an oven, a microwave and a toaster and there is a private bathroom with slippers and free toiletries. Towels and bed linen are offered in this villa. Other facilities at Driftwood Villa include a barbecue. Kefalonia Airport is 5 mi away. When would you like to stay at Driftwood Villa? 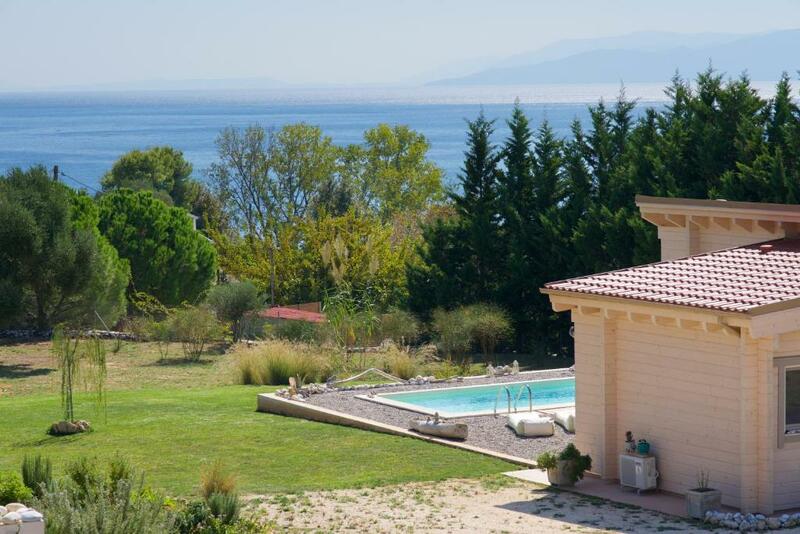 This villa has a dining area, oven and a private pool. Driftwood Villa made by wood and stone, decorated by handmade artifacts and natural materials in combination with its proximity to the picturesque beach of Saint Thomas (3' walking distance), makes it the ideal retreat for relaxing vacation in harmony with nature. The open plan dining, lounge and fully equipped kitchen, as-well as the bedroom have direct access to the garden and pool area. 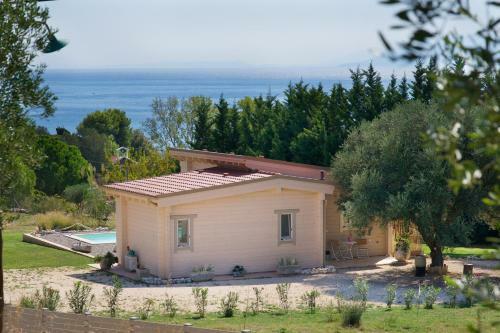 The rooms are very bright throughout the day and have a wonderful view to both mountain Ainos and the sea. 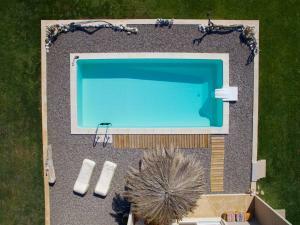 The villa has one bedroom with a king size bed or two singles. All have Cocomat mattresses and pillows, made 100% from natural materials that make sleeping a comforting and relaxing experience. Traditional Greek Breakfast can be served daily. With a selection of fresh local products such as: eggs, herbal teas, freshly baked bread, honey or homemade marmalade, butter, nuts, fruits, Kefalonian dairy products (yogurt, cheese, milk), vegetables etc. Organic products when possible! THE FIRST DAY OF YOUR STAYING WE OFFER THE BREAKFAST FOR FREE! Alternatives treatments such as reflexology, massage and bio-resonance can be provided on site. ONE MASSAGE FREE! 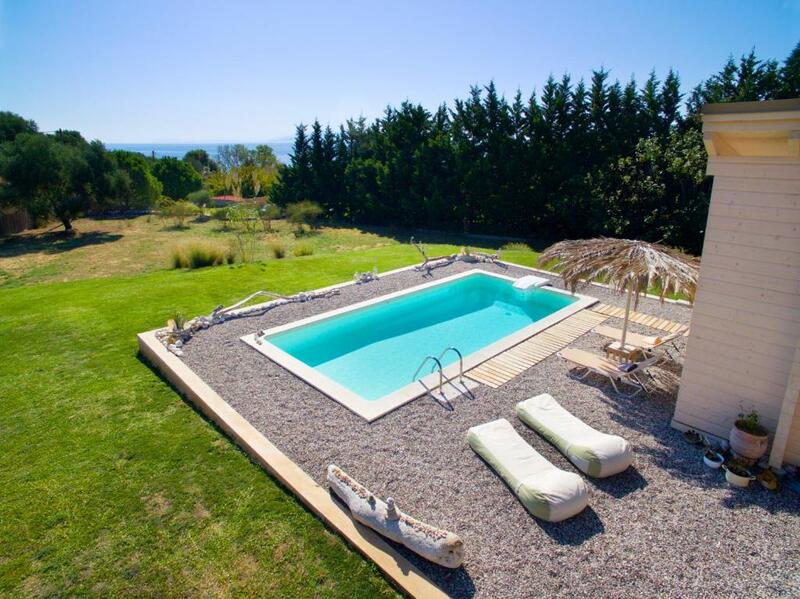 The villa is only 200m away from the beach and 1km from the village of Karavados. The area is ideal for walks along the beach front and the surrounding area. At the village you can find a mini market where you can buy all the essentials while at the beach there's a traditional fish tavern and a romantic beach bar. House Rules Driftwood Villa takes special requests – add in the next step! Driftwood Villa accepts these cards and reserves the right to temporarily hold an amount prior to arrival. Please inform Driftwood Villa of your expected arrival time in advance. You can use the Special Requests box when booking, or contact the property directly using the contact details in your confirmation. We need at least 5 reviews before we can calculate a review score. If you book and review your stay, you can help Driftwood Villa meet this goal. The villa was exceptional. The layout and decor was inspired with all necessary equipment and facilities for a relaxed, chilled and peaceful getaway. 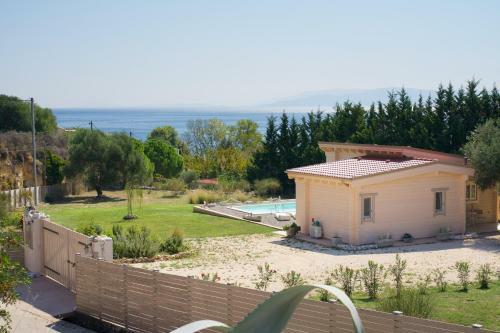 Beautiful sunny aspect, great pool and lovely surrounding scenery. Located close to a small beach and within an easy drive to other beaches and many local tavernas and restaurants. Very friendly and helpful owners. The villa was perfect and Also the hostess was very friendly. It's No problem to stay longer in the Villa.